It wouldn’t be Throwback Thursday without Tom Brady chiming in. 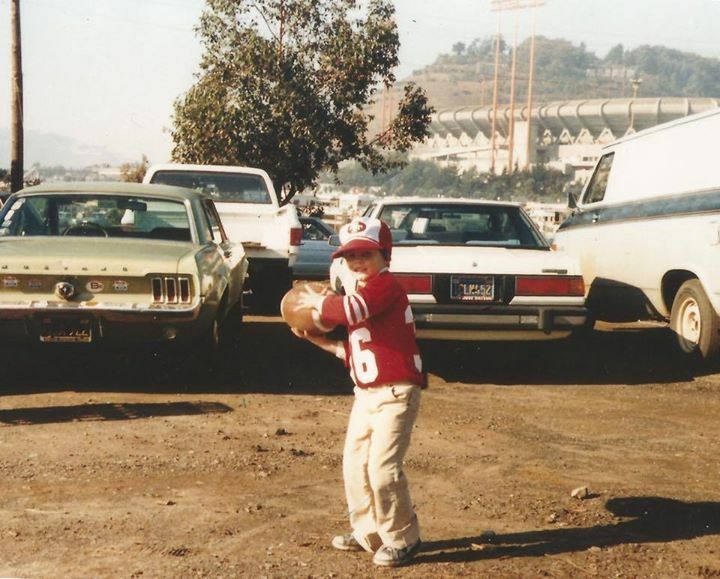 In today’s entry on Facebook, Brady is shown as a young toddler — guessing six years old — dressed in an old school San Francisco 49ers baseball cap posing like Joe Montana in a ‘Niners jersey. In Saturday’s game against the Ravens, Brady’s third touchdown pass sent him past Montana into the record books with his 46th postseason touchdown pass. Brady idolized Montana while growing up in No. California and attended the 1981 NFC Championship game when Montana threw the famous game winning TD pass to Dwight Clark to beat the Cowboys 28-27. On Monday, an image of Brady riding a blue horse appeared on TB12’s illustrious Facebook page. Brady was asked about the image of him riding a Colt Wednesday at Gillette Stadium.